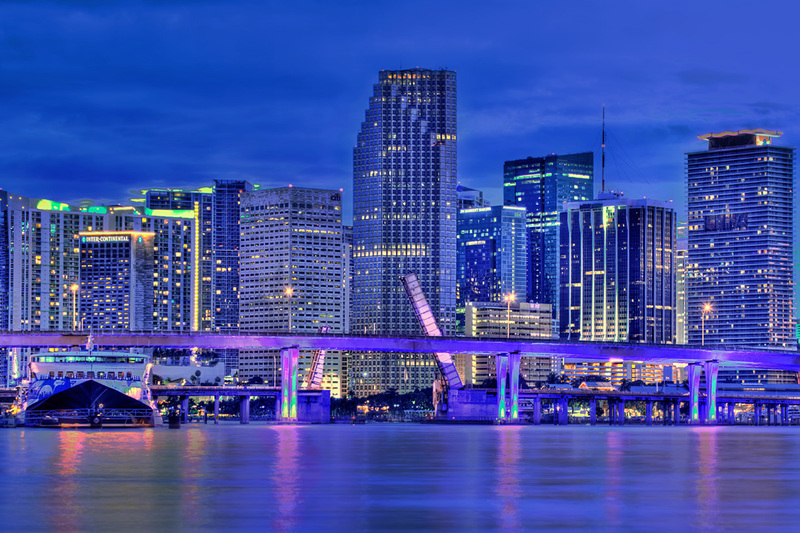 Photo from Miami of the downtown city skyline in Miami Dade County Florida taken along the port of Miami after sunset. Three exposure HDR panoramic image from the Miami City Skyline before sunrise taken from MacArthur Causeway. HDR image created using Photomatix Pro. 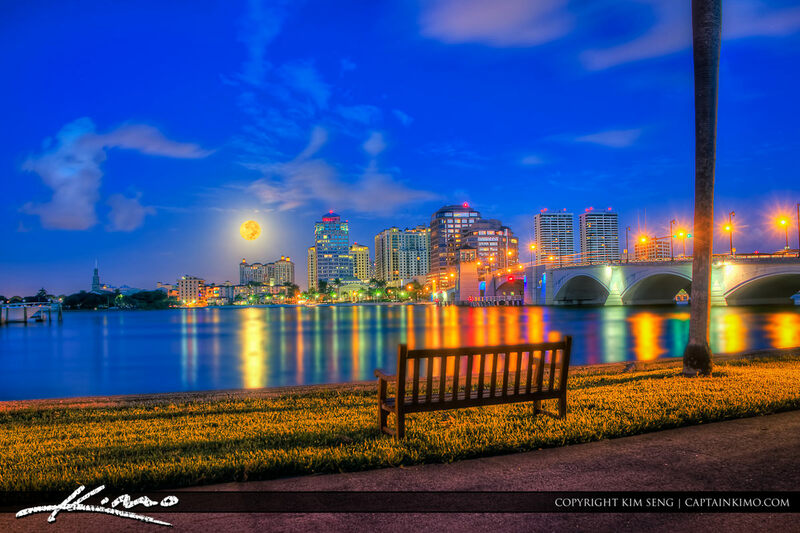 Photo from Palm Beach Island Taken before sunrise with the West Palm Beach Skyline and Royal Palm in the foreground. 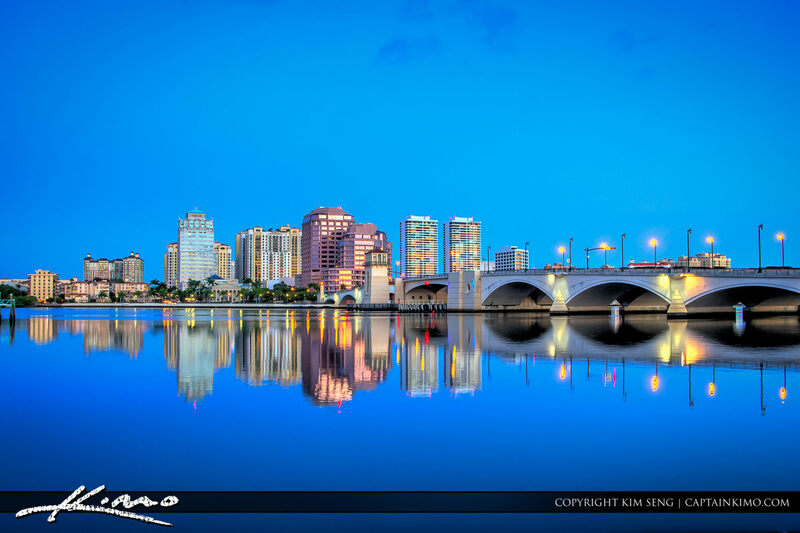 Calm Morning at West Palm Beach Florida. 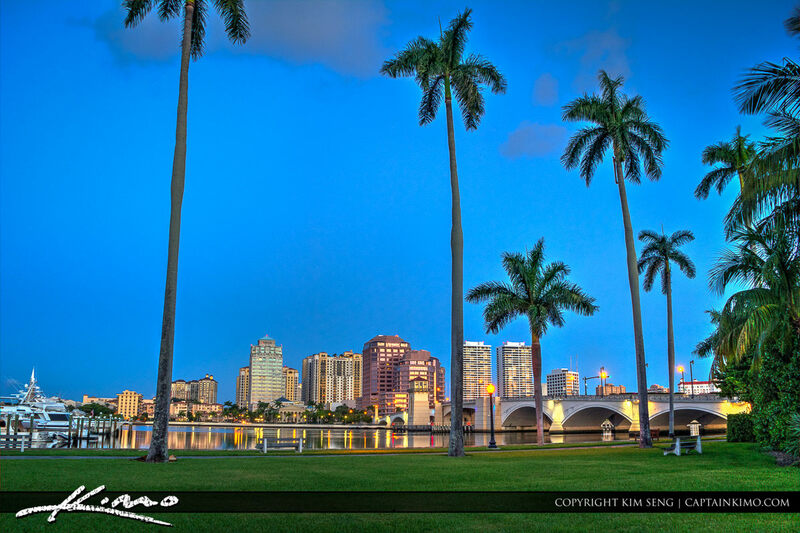 Photo of the WPB Skyline and Royal Park Bridge. 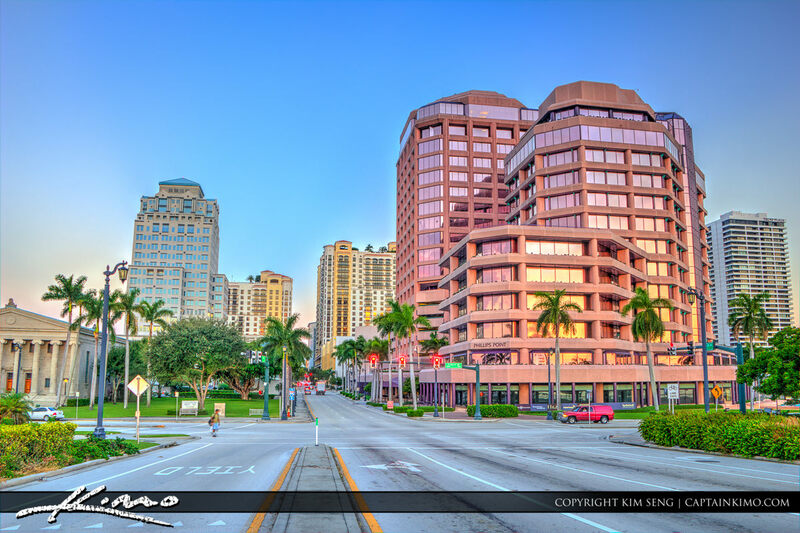 This is the pink building downtown in West Palm Beach called Phillips Point in Palm Beach County, Florida. Three exposure HDR image processed using Photomatix Pro HDR Software. 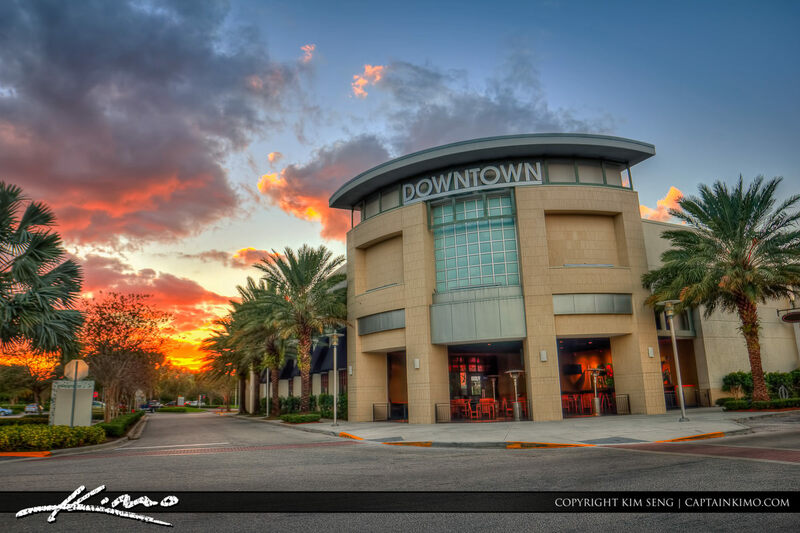 This was taken Thanksgiving day at the Downtown at the Gardens in Palm Beach Gardens, Florida during sunset. 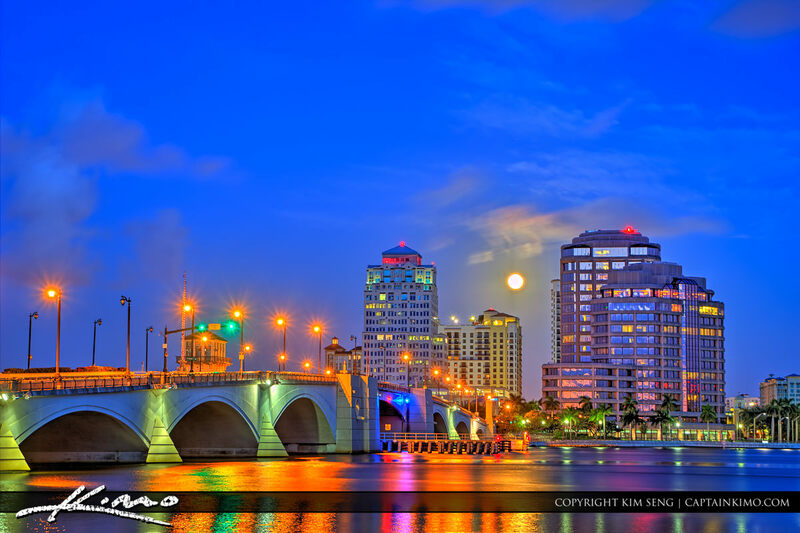 Panoramic photo from Pompano Beach of the condo city skyline along the Atlantic Coast in Broward County, Florida. 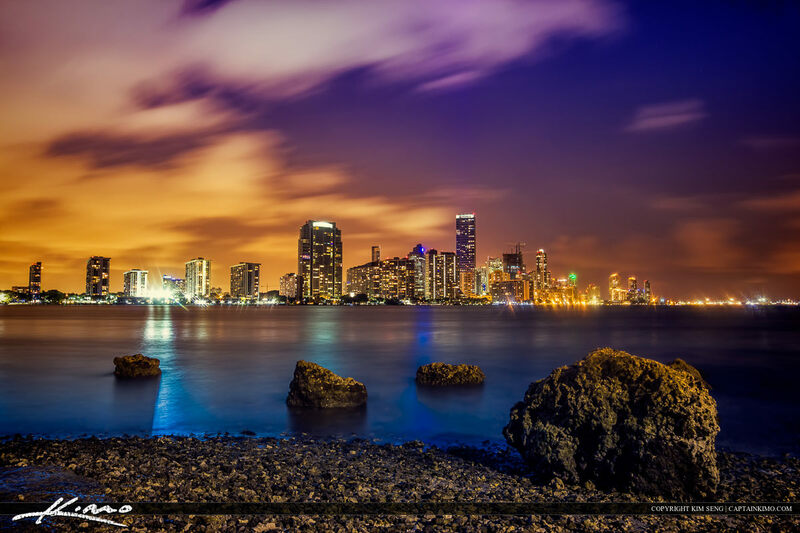 Photo taken from the Miami Inlet at South Beach with the Port of Miami and City skyline in the background. Single exposure HDR image processed using Photomatix with tone compressor. West Palm Beach sunset over the Intracoastal from Palm Beach Island, Florida, in Palm Beach County. Three exposure HDR image processed using Photomatix Pro HDR Software. 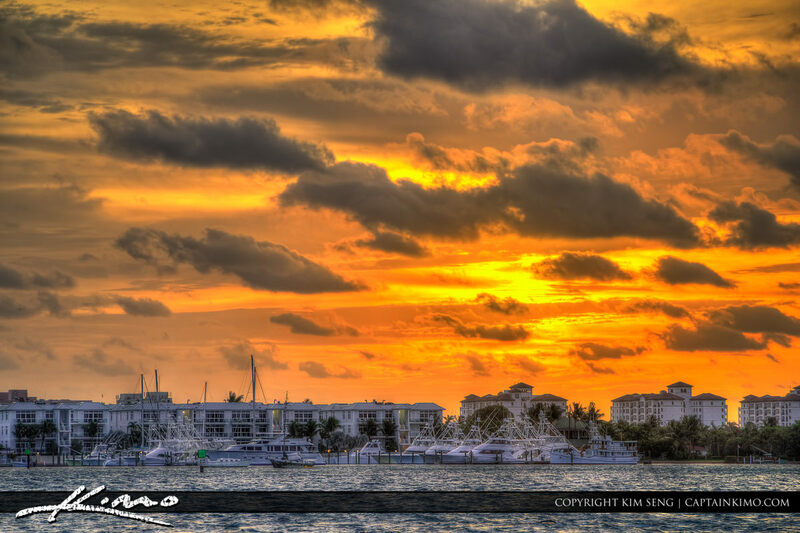 Sunset from Palm Beach Island at the Banyan Tree in West Palm Beach, Florida in Palm Beach County. Five exposure HDR panorama created using Photomatix Pro HDR software. Peanut Island photo taken this morning from the Blue Heron Bridge during sunrise with the West Palm Beach Skyline. Panorama stitched using Photoshop with three compositions. 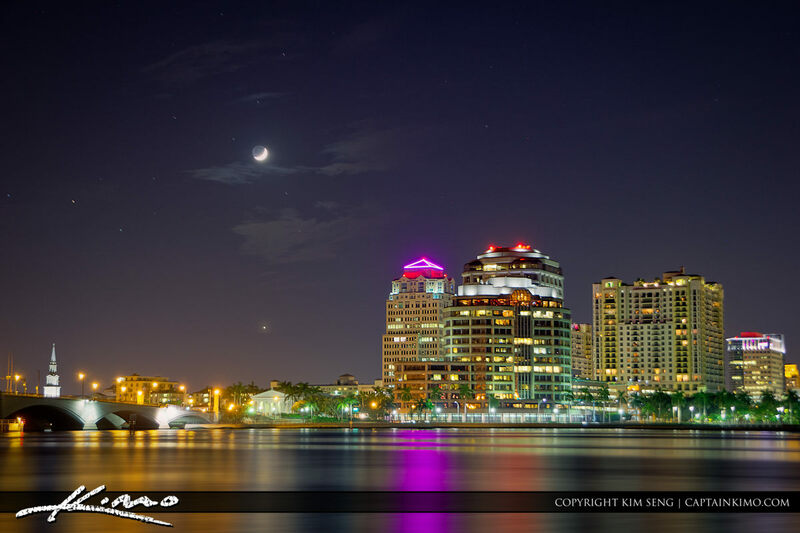 Another shot from last months full moonset over West Palm Beach city buildings downtown skyline. Three exposure high dynamic range photo processed in Photomatix Pro HDR Software. West Palm Beach panorama underneath the Banyan Tree in Palm Beach Island. 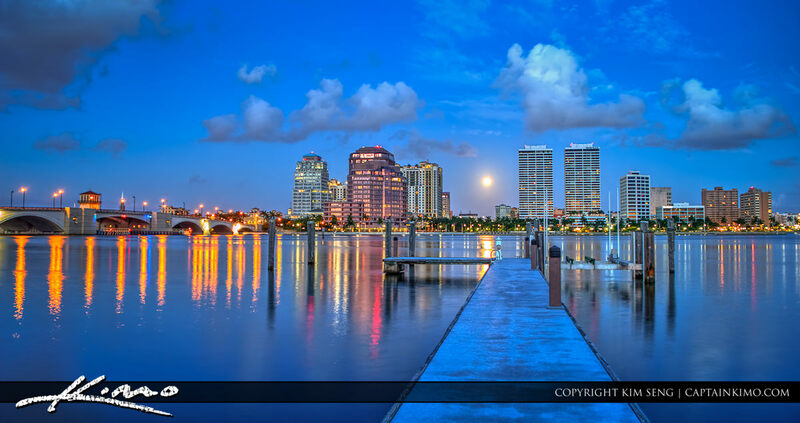 Taken a little after sunrise while I was looking for a nice WPB scene to photograph. I am totally digging the results from the new Photomatix 5.0 Beta Contrast Optimizer. This is and HDR image using that Tone mapping method. Photo from West Palm Beach. 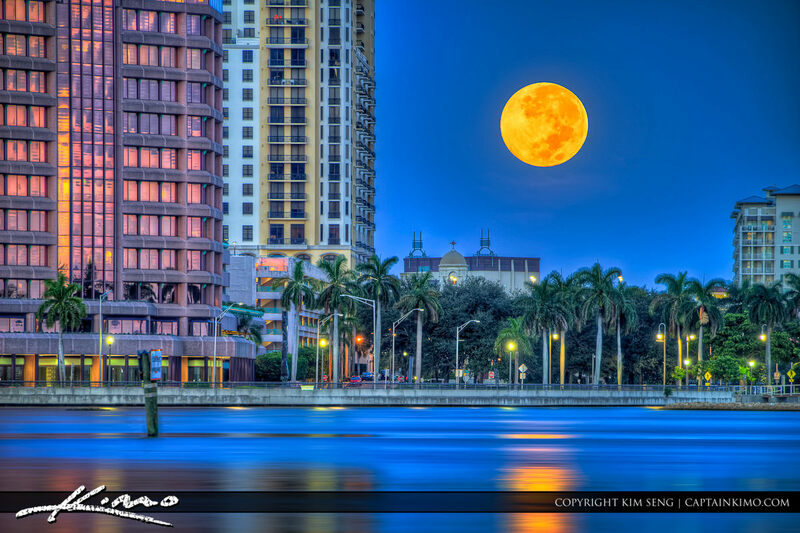 This is one of those shots that require getting up early for to catch the moon set over West Palm Beach City Buildings. 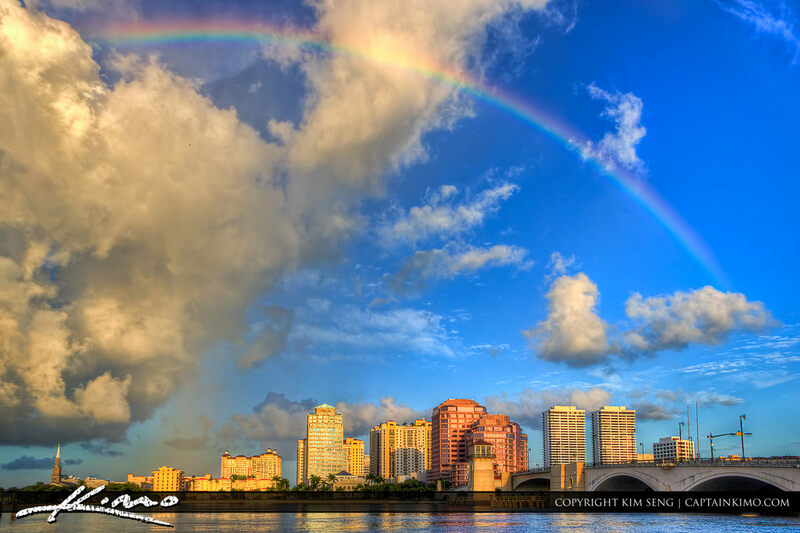 A beautiful rainbow over, West Palm Beach, Florida, in Palm Beach County. This was my bonus shot from yesterday morning while shooting the sunrise at Palm Beach Island.